Analyze efficiency measures during the design process and account for the results in design decision-making. Analysis can include energy simulation of efficiency opportunities, energy simulation analyses for similar projects, or published data from energy analyses performed for similar projects (such as AEDGs). Analyze efficiency measures focused on load reduction and HVAC-related strategies; passive measures are acceptable. 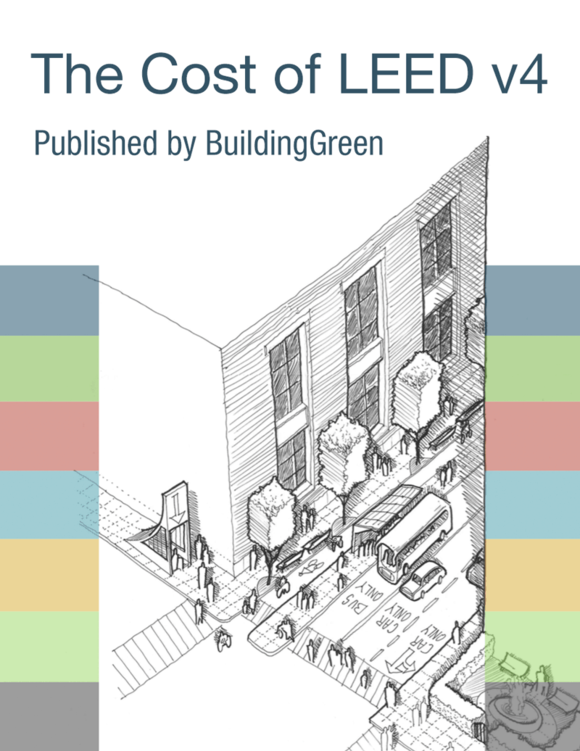 Project the potential energy savings and cost implications for all affected systems. Follow the criteria in EA Prerequisite Minimum Energy Performance to demonstrate a percentage improvement in the proposed tenant project performance rating compared with the baseline. Use any combination of the strategies in any or all of the categories below. For base building systems that serve the project, as well as any applicable improvements that are part of the project, document compliance with the following according to base building type and climate zone. For projects outside the U.S., consult ASHRAE/ASHRAE/IESNA Standard 90.1–2010, Appendixes B and D, to determine the appropriate climate zone. Comply with the recommendations in the appropriate ASHRAE 50% Advanced Energy Design Guide for all roofs, walls, floors, slabs, doors, vestibules, and continuous air barriers. Comply with the recommendations in the appropriate ASHRAE 50% Advanced Energy Design Guide for all vertical fenestration. For all base building HVAC systems that serve the project, comply with the recommendations in the appropriate ASHRAE 50% Advanced Energy Design Guide. For the tenant fit-out of spaces, provide a separate control zone for each solar exposure and interior space. Provide controls capable of sensing space conditions and modulating the HVAC system in response to space demand for all private offices and other enclosed spaces (e.g., conference rooms, classrooms). Reduce connected lighting power density below that allowed by ASHRAE/IESNA Standard 90.1–2010, either using the space-by-space method or applying the whole-building lighting power allowance to the entire tenant space. Points are awarded according to Table 2. Install daylight-responsive controls in all regularly occupied daylit spaces within 15 feet (4.5 meters) of windows and under skylights for at least 25% of the connected lighting load. Daylight controls must switch or dim electric lights in response to daylight illumination in the space. Install occupancy sensors for at least 75% of the connected lighting load. Install ENERGY STAR appliances, office equipment, electronics, and commercial food service equipment (HVAC, lighting, and building envelope products are excluded from this credit) or performance equivalent for projects outside the U.S.. Calculate their percentage of the total (by rated-power) ENERGY STAR–eligible products in the project. Points are awarded according to Table 3.